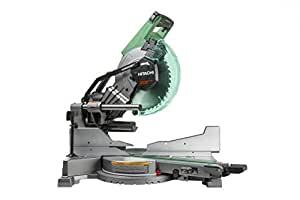 The new model C10FSHC is a 10” dual bevel compound Miter saw. It was designed to meet the demands of the do-it-yourself customer. This model brings “Pro” like features for a “Pro” like finish product. The model C10FSHC is lightweight (20.7 lbs.) and equipped with the new simple slide structure. The compact slide system decreases the footprint of the saw by up to a foot saving you valuable real estate in any shop environment. The C10FSHC is a great feature for small shops and tight garages. The C10FSHC comes with a LED light to give its user more confidence and a safer work environment in low light situations. The easily adjustable tool-less laser marker allows even the most novice users to make perfectly accurate cuts.